Last week, in Tasmania- Part 1, I showed some of the highlights of Launceston. 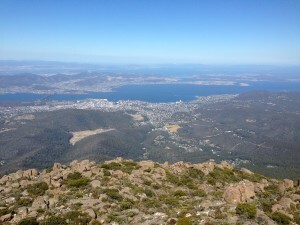 The second part of our trip was in Hobart, and this post will cover the things I recommend you check out! Tasmania has a rich convict past. 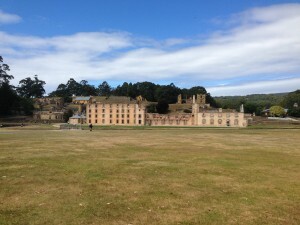 Port Arthur is home to an historic convict settlement which is open to visitors. It is around a one hour drive from Hobart and ticket prices start from $37 which includes a 40 minute walking tour and a boat ride around the harbour. Port Arthur was the scene of a tragic shooting in 1996. As a result of this, Australia enacted strict gun control laws that resulted in a significant decrease in gun deaths. There is a small memorial garden at Port Arthur for the victims of the ’96 massacre and it was incredibly moving. The Museum of Old and New Art, also known as MONA, is usually listed as the number one place to see on all guides to visiting Tasmania. Opened by David Walsh, a famous Australian in his own right, I would best describe it as eclectic and slightly strange. There is a ferry that takes you from the Hobart wharf over to MONA, though it is also possible to drive there. We opted to take the ferry and purchased a “Posh Pit” ticket that included food and drink going over and coming back. While this cost a little bit more, it was worth it. It was lovely to cruise over with a glass of champagne and delicious gourmet bites. While I personally did not love MONA, I am glad I went. The artwork was not really my style, as I prefer more conventional and conservative art. However, for anyone who likes the slightly out there, MONA is a must see. For everyone else, I’d still recommend checking it out. The exhibitions do change, so you never know what you might find. Our day out at Bruny Island was the highlight of the entire trip for me. Access to the island is by ferry. The ferry terminal is approximately a 45 minute drive from Hobart. I recommend taking a car over with you as I think it would be hard to get around on the Island without one, unless you were on an organised tour. 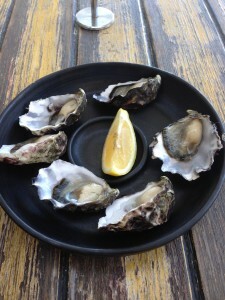 For me, Bruny Island was all about the food. We stopped at Get Shucked Oysters and ate until we could burst. 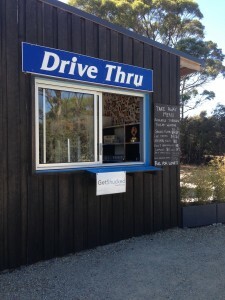 I was quite impressed that they had a ‘drive thru’ for people to pick up oysters from the car. 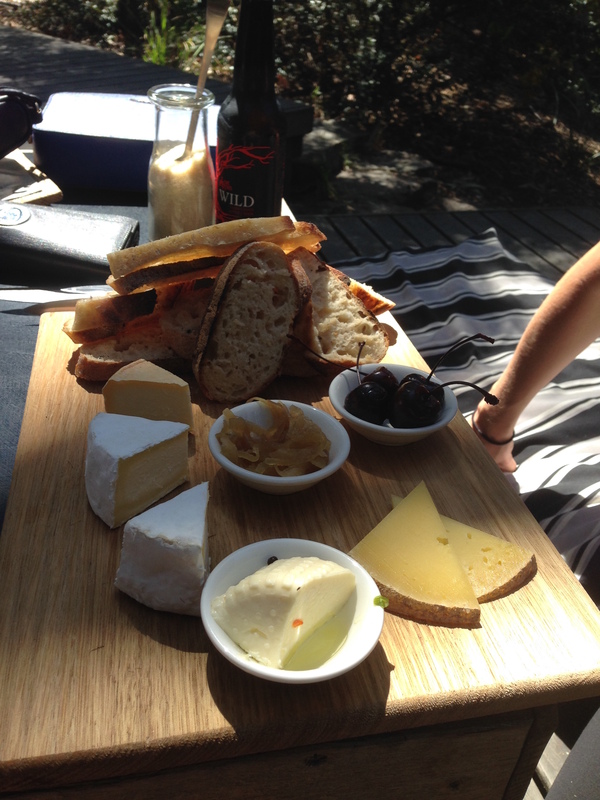 The Bruny Island Cheese Company is a Tasmanian icon and famous throughout mainland Australia. We had an idyllic lunch there and I would definitely recommend it. Besides eating, we spent our time driving around and enjoying the beautiful sites. There are many things to do on Bruny Island, including nature tours and kayaking and you can also stay the night on the island if you want to. For anyone visiting Hobart in late December and early January, Taste of Tasmania is held down at the Hobart wharf. A food and wine festival, growers and producers from all over Tasmania set up stalls to feed visitors. The food is sensational. Much of it is fresh and locally produced. All of the major Tasmanian wineries and breweries are also in attendance. I found prices to be pretty reasonable, though there is so much there that it would be easy to get carried away. There is usually free entertainment on throughout the day, including stuff for kids. It’s a must to attend if you’re in Hobart during the Christmas/New Year period. There you have it, my highlights of Tasmania. I hope you enjoyed these posts on my latest trip. As we continue to travel, Poopsie and I will bring you posts all about our trips. Have you got any trips coming up? What will be your highlights?